The Florida Department of Health recognizes December 2-8, 2018 as National Influenza Vaccination Week. The department along with the Centers for Disease Control and Prevention (CDC) remind everyone that even though the holiday season has arrived, there is still time to get your flu vaccination. It is recommended that everyone 6 months of age and older receive the vaccine each year to protect against illness. Getting your yearly vaccination is the best protection against influenza. Floridians who are at high risk of flu-related complications include young children, pregnant women, people with certain chronic health conditions like asthma, diabetes, heart disease or lung disease, and people aged 65 years and older. Flu vaccines are offered in many locations, including doctor’s offices, health departments, pharmacies and by some employers and schools. Find your local county health department and learn more about receiving your vaccination, or find another location with our flu shot locator page. Once vaccinated, you can enjoy this holiday season knowing that you have taken the best step to protect yourself and loved ones against the flu. 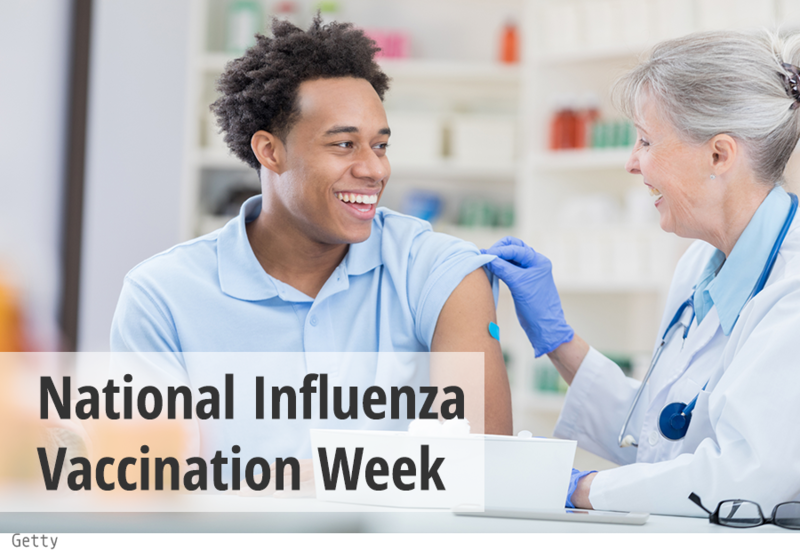 For more information about National Influenza Vaccination Week, please visit www.cdc.gov/flu.